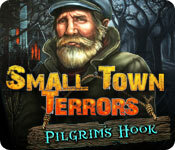 Small Town Terrors: Pilgrim's Hook is rated 4.2 out of 5 by 33. Rated 5 out of 5 by thebubba from It hooked me...for sure. This is one of those games that comes along every so often that I want to play through because I am having a blast. Not because I bought this dumb game and have to play through it...maybe it will get better (yeah, right). For starters I live near Great South Bay and have always been a "shore" person, so the setting was just right for me. And the graphics were right up my alley. Moody and a bit grim much like Maze Subject 360. No overly saturated colors and no cutesy pie animal helpers. The art fit the story perfectly. There are plenty of reviews here that will fill you in on that story. Let's just say that this game is an adventure with a nice variety of HOs and puzzles, decent cut scenes and a great atmosphere. My only gripe is that some of the creatures are not up to par with the surroundings in terms of scary/moody. And the hint button gives you three hints in a row when all I wanted was a hint. Perhaps I was playing on an easier level. In any case this game is up there on my list of favorites. Rated 5 out of 5 by akamp from Great Hidden Object Game Don't usually play games with music, nevertheless, this game is awesome! great storyline, graphics excellent, highly recommend this game it's a great buy. Rated 5 out of 5 by MountainMama915 from Liked this game a lot better than I thought I would Bought this several months ago as a Daily Deal and left it sitting in my inventory while I played other games that I thought would be more interesting and fun. Was very pleasantly surprised at how much I enjoyed it. One of the best things about it was that almost right from the beginning you are given access to nearly the whole town instead of being stuck in just a couple rooms til you unlock every little door and drawer before you can move on! I can get bored very fast when having to do that. 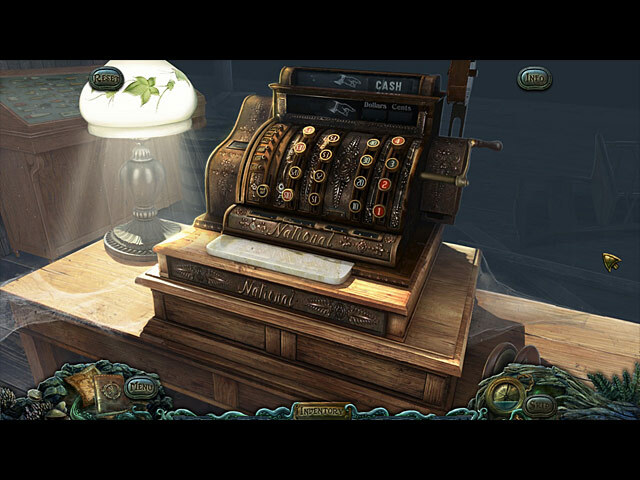 Enjoyed the charactors and the hidden object scenes very much. Also, didn't feel like I needed a phd to figure out where to go and what to do next. My kind of game. I highly recommend. Rated 5 out of 5 by vmhvampir from loved it One of those hidden gems you don't play when they first come out and later when you do you go WOW why didn't i play that before. Loved the spookiness, lovecraftien to me. It is one of my all time faves. Rated 5 out of 5 by Italia47 from Shiver me timbers! I love this game! I'll leave the explanation of the storyline to those great reviewers who take the time to do so. With that said, I bought the standard edition and I'm about half-way through the game. At first I hesitated in buying it because of the dreary scenes, but I thought, 'what the heck', I'll take the plunge, and I'm glad I did. Though you're all over the place, you do have a map (and a great hint button, too), and let me tell you, the characters are extremely interesting and some very humorous, too, like the lady tour guide in the Town Hall who is deathly afraid of a so-called beast lurking in the building! We must find food for it or otherwise, we'll get eaten!! The VOS/acting is incredible and that alone is a plus for me. There is text along with everything else. Lot of great thought into the story and the characters. Very clever game plan even though the objects in your inventory aren't used for a while in some cases. 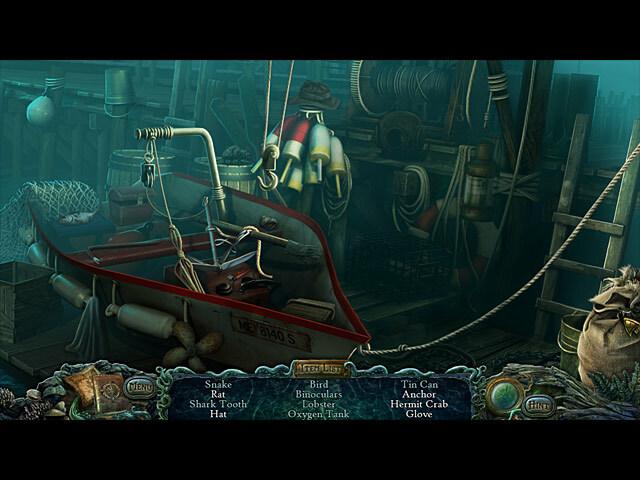 Dark and dreary scenes but the artwork is excellent; sound effects are great; music is very good. At first there didn't seem to be any rhyme or reason for some of the riddles but as a result they did make sense. So get the game. Take your time. No sweet, fairy-land flavor to this game. I highly recommend it. Rated 5 out of 5 by slynpb from Great Fun! Very entertaining, and just challenging enough. Rated 5 out of 5 by legalhelper from Stellar Graphics I have always cared more about graphics than I have storyline, but this game was an A+ in both categories. I'm not crazy about games that insist on including obsessive HO scenes, and this game got it right on all counts. This is the best game I have played in quite some time. Rated 5 out of 5 by denniann2 from an excellent game i really enjoyed this game! interactive map and journal. you receive a letter from your brother that he needs help and he is back at pilgrim's hook where you both grew up. you go back there to help him and run into an underwater creature that is determined to destroy you and your brother and anyone else that is still there. your job....destroy it. played casual, low sound. mini games ok. hint/skip charge fairly fast. probably sequel worthy. Rated 5 out of 5 by Knginatl from Fun game Fun game, not too easy, good graphics, good voices and acting. Not perfect, but I definitely recommend it! Rated 5 out of 5 by roaming from Get This Game! If I could think of one negative thing to say about this game, I'm not sure what it might be. The graphics were incredible. Game play was smooth as silk. I would have preferred being able to replace an object by left clicking instead of having to set it down in its place, but that isn't much of a complaint! If you're an intermediate or advanced player, you might want to select one of the more difficult levels of play, but I found it challenging enough playing the easiest level. Big Fish has reach a new high with this one that will be difficult to match. There's a dark force at work in Pilgrim's Hook. 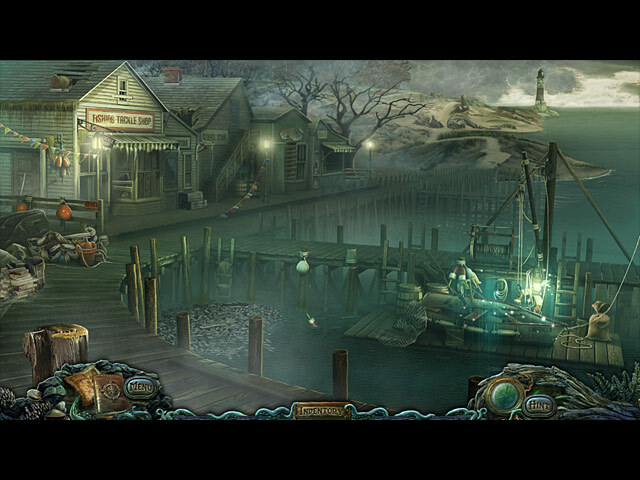 Return to your childhood home and save your twin brother from the evil that lives beneath the sea.